Typically, smoothies and milkshakes are packed with sugar from high carb fruits such as bananas and added sugar from traditional sweeteners. Did you know that frozen zucchini can be used instead of bananas? 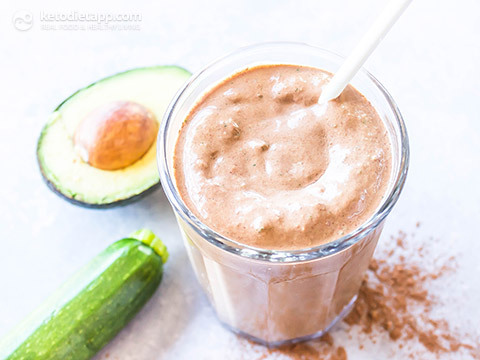 Unlike bananas, which are high in carbs and would spike your blood sugar levels, zucchini is the perfect alternative that will make your breakfast smoothies just as creamy and delicious but without the carbs—ingenious! 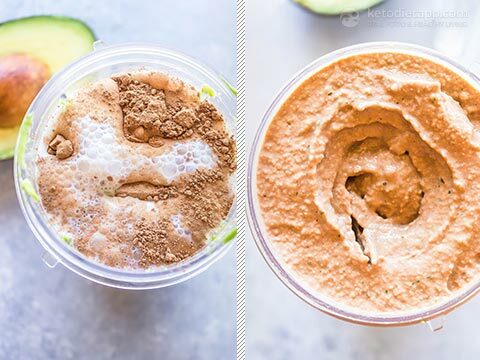 Zucchini will make this smoothie not just super creamy but will also more nutritious because it's a good source of potassium, just like avocados. Finally, cocoa powder is high in magnesium - an electrolyte most commonly deficient in modern diets. 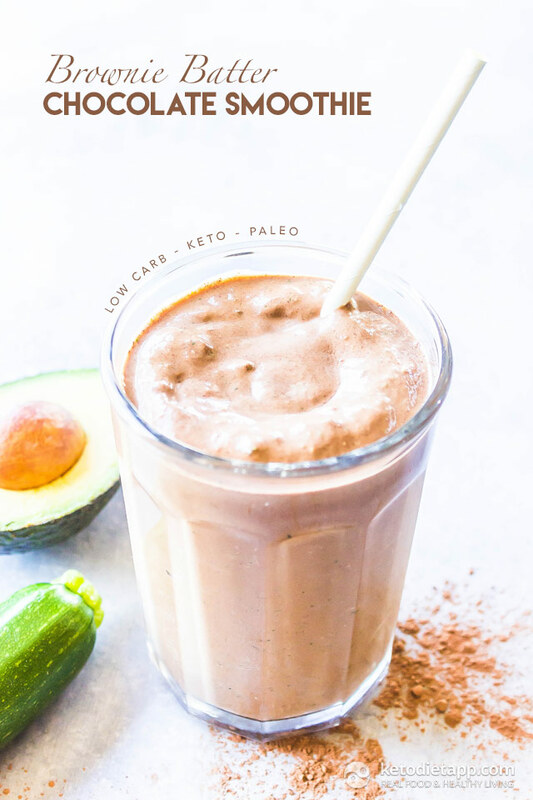 Just one serving of this keto-friendly smoothie will cover half of your daily electrolyte intake. 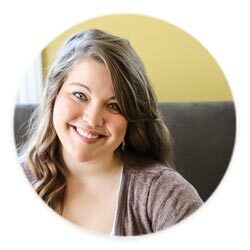 We all have different dietary needs and follow different keto macros so if you need to tweak the recipe, I included a few suggestions and alternatives below. 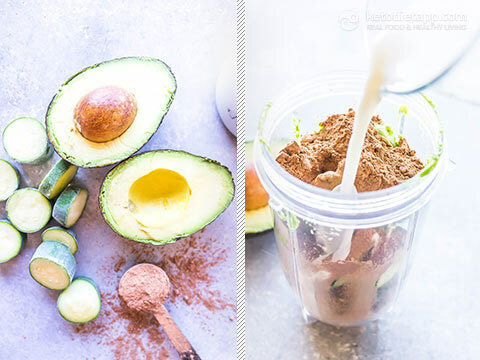 Place all of the ingredients in a high-speed blender. Blend until smooth. Add some water or almond milk if too thick and pulse again. Consume immediately or freeze the smoothie in an ice cube tray for future smoothies. Absolutely! That's even better because it will blend faster without potentially having any chunks of zucchini in the smoothie. In my first couple of weeks of Keto. Just had this for breakfast. Tastes great! I didnt use any sweetener in mine becuase I quite like the taste of raw, unsweetened organic cacao. Shakes like this really help me istart up my day. Thanks for the recipe.